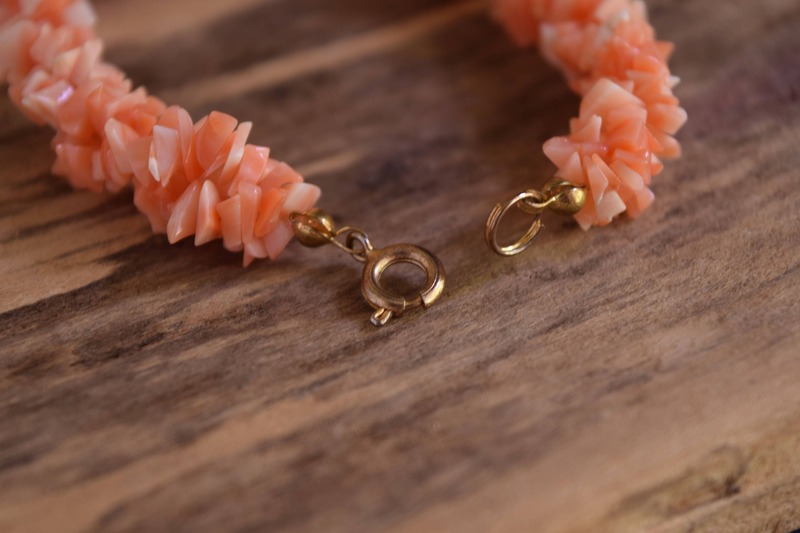 The rich colors of coral have made it a timeless staple in jewelry across the globe. 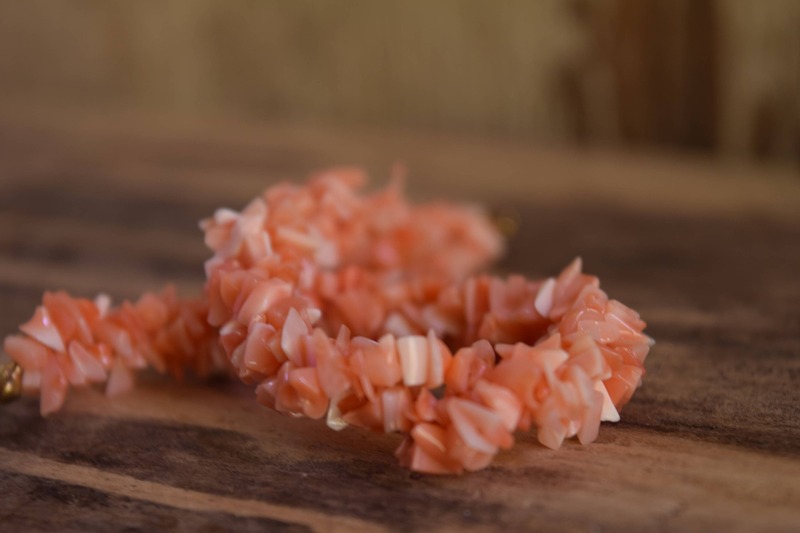 This classic beaded coral bracelet features an array of coral chips in deep hues, as well as lighter soft angle skin colors. 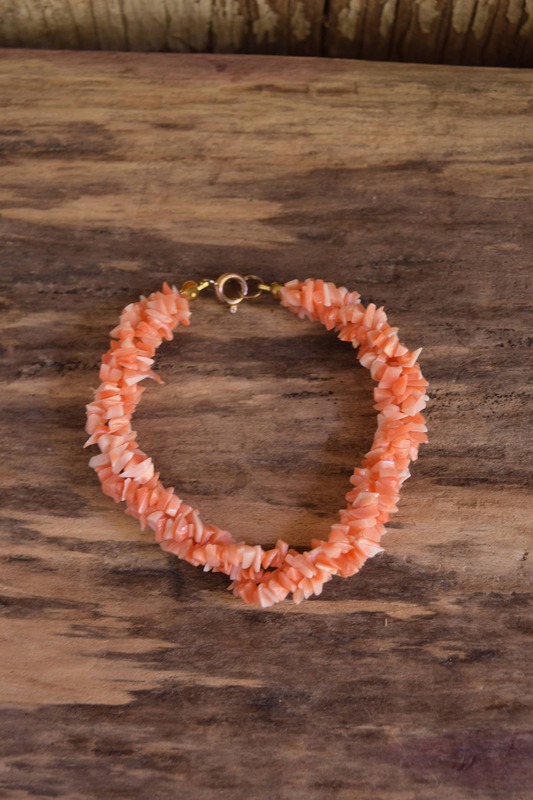 They're all polished to a bright finish, making this beaded coral bracelet perfect for a warm evening or a bright day out in the summer shops. Condition: Great vintage condition. Though previously owned, this bracelet is in lovely condition. Slightly discoloration on clasp and jump ring, but the inside spring is great, so securing this bracelet is easy. 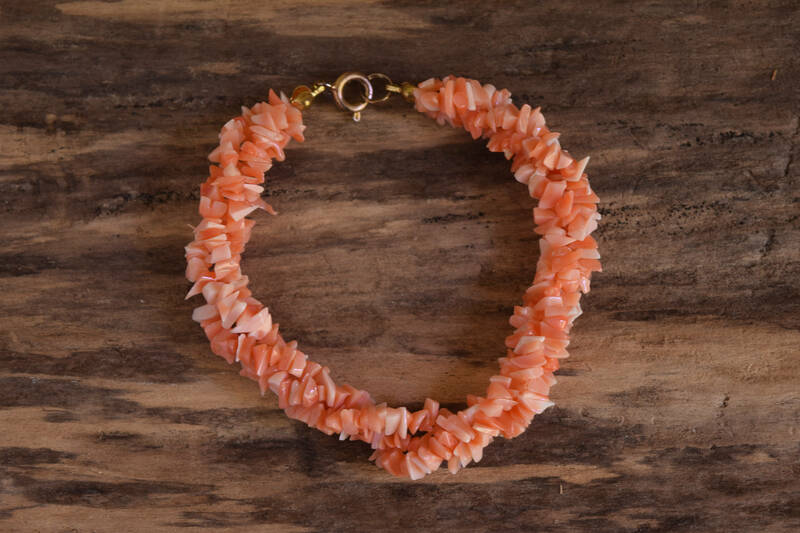 Please understand that your device and its screen settings may not reflect the true colors of this coral bracelet. Head to the shop to see our entire collection! 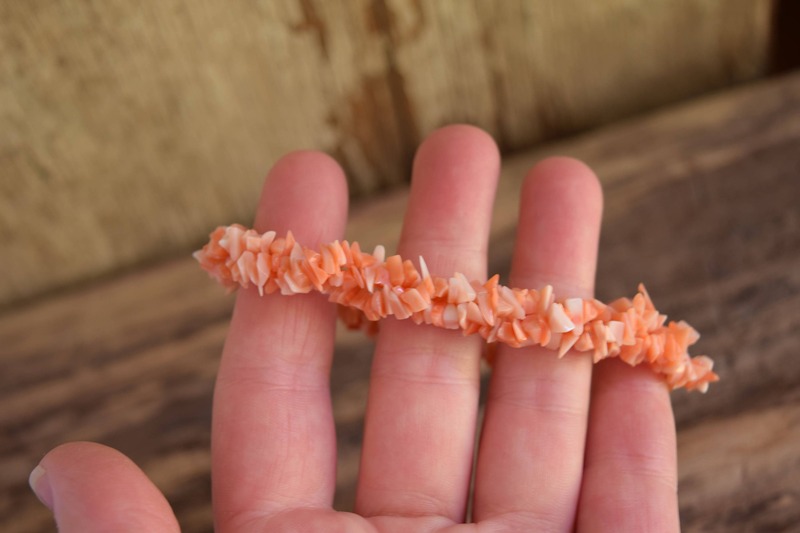 This is a beautiful coral bracelet and quality made. Because of fast shipping, I will be wearing Easter Sunday.